There are 6 seats each year of the 12 member board that are open for election by the TREIA membership. The TREIA Board has nominated the following candidates for the 2018-2019 Term. Additional nominees may be nominated by a TREIA member at the Annual TREIA Membership Meeting on February 1st. The TREIA Board Election will be held February 5-7, 2018. Vijay Betanabhatla is a Senior Consultant in Energy & Utilities team at Baker Tilly. He works closely with utilities, renewable energy developers, manufacturers, and state/local/tribal governments to help meet their strategic, resource optimization, and capital procurement needs for energy projects. He currently leads the Smartgrid strategy for Baker Tilly and plays a key role in the business development efforts for the Austin office. Before joining Baker Tilly, Vijay worked in System Operations at ERCOT for over 10 years. He played a lead role in many prestigious ERCOT projects including the Texas Nodal project. He has a MSEE from UT Arlington and an MBA from UT Austin, McCombs School of Business. Ken Donohoo retired from Oncor Electric Delivery in May 2017 as Director System Planning. His team was responsible for distribution and transmission planning analysis, NERC/ERCOT support/reporting, regulatory support, planning reports and collection/development of power system planning data. Ken's extensive background includes engineering budget analysis, transmission planning, transient analysis, insulation coordination, surge arrester application, switching analysis, wheeling impact, loss analysis, project management and engineering management. He is a registered professional engineer in the state of Texas and a senior member of Institute of Electrical and Electronics Engineers (IEEE). Ken received a Bachelor of Science Electrical Engineering (BSEE) degree from the University of Texas at Arlington in 1982. He is married with one son and lives in Mansfield, Texas. His wife Judith retired from teaching elementary school and Sean is a student working part time with computers. He enjoys landscaping & gardening, traveling and test tasting various Bourbon, scotch & whiskey. Andrew Johnston is a Director for Navigant’s Global Energy Practice. In this role Andrew works at the intersection of strategy, technology and business models for large utilities, technology manufacturers and cities. Johnston has lived and worked in Texas for over a decade in a variety of roles around renewable energy, grid modernization and emerging technology. His experience includes his role in writing the Stimulus Grant on behalf of the City of Austin to successfully launch Pecan Street, Lead of Central Texas EV and NGV market adoption for Austin Energy, as well as being the technical lead for Landis+Gyr in deploying the worlds’ first research-based meter network in a live community. Prior to living in Texas,Johnston was chief of staff to economist and social theorist Jeremy Rifkin, where he supported the energy & technology agenda with clients including European Commission, European heads of state, and major global industrial and energy stakeholders. He lives in Austin with his Wife and Baby Girl, and is the 2014 recipient of the Austin Under 40 Award for Energy & Technology. Melissa Miller, Project Development Manager at EDF Renewable Energy, has experience developing Texas renewables since 2002. At EDF, Melissa’s primary focus is in the development of large scale wind and solar in Texas. As former President of Miller Wind + Renewables and Vice President of Texas Development for Cielo Wind Power, Ms. Miller has diverse experience in large-scale commercial wind project development, including the operational 161MW Brazos Wind Project, 78MW Golden Spread Panhandle Wind Ranch, 161MW Spinning Spur Wind Ranch, and the 161MW Spinning Spur Two Wind Ranch and the development of the 200MW Unity Wind Project. Through Miller Wind + Renewables, Ms. Miller consulted in the areas of tax abatement and real estate negotiation for a number of renewable energy developers and developed large-scale wind and solar projects for landowners in Texas. As a longtime advocate for Texas economic and energy initiatives, Melissa currently serves as a TREIA's board President. 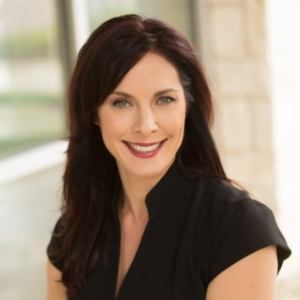 She is also the former Executive Director for the Austin Independent Business Alliance. With 25 years of experience in marketing, business development, strategy, consulting, sales, organizational growth, project management, and relationship building, Jeff’s presence at Saxum helps convert our instincts into intentions and our data into decisions. With an MBA from Benedictine College and a bachelor’s degree in journalism from the University of Kansas, Jeff is a Kansan at heart, but has built his reputation in leadership at marketing, engineering and energy firms in Washington, D.C., Chicago, and Kansas City, like Barkley, Brightergy, Bartlett & West, CM Services and others. Now, Jeff leads our teams in Oklahoma City, Tulsa and Houston as we aim to strategically grow our business across the United States, and make smart and efficient investments in new technologies and diverse talent. When Jeff talks, people listen, primarily because he does so little of it – he’d rather hear your story, ask you questions and learn how he can create value for you first. Jeff is a father of three beautiful, internationally-adopted children, an avid fly-fisherman and a technology addict. If you walk by his office when it’s very quiet, you can hear heavy metal music seeping from his headphones. To us, Jeff seems full of surprises, but to him, it’s all part of the plan. Ingmar Sterzing is a Partner at Skaia Energy engaging with clients to create and grow profitable projects and businesses. Ingmar thrives on bringing clarity and direction to the dynamic and complex landscape of the energy business by crafting industry-leading strategies and risk-adjusted execution plans. With over 20 years of experience he has cultivated multi-functional expertise and an established track record of driving value added results in services, operations, and asset management at PEC, LS Power, Westinghouse, LCRA, and GE. Ingmar specializes in business and project development, capital planning and execution, asset management, operational excellence, commercial strategies, due diligence, and risk management. Ingmar actively serves as a member of industry and professional boards and holds a degree in Mechanical Engineering and an MBA from UT Austin and a Masters in Nuclear Engineering from NC State.